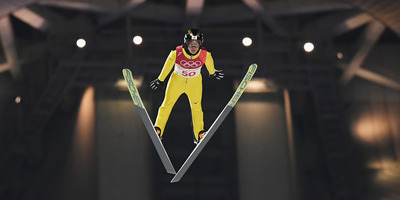 Athletes fly down a hill at about 60 miles per hour, then launch into the air, travelling over 300 feet while about 10-15 feet off the ground. To give a better sense of just how far these ski jumpers go, we compared the distances of the men and women’s gold-medal jumps on the normal hill at the Pyeongchang Olympics. 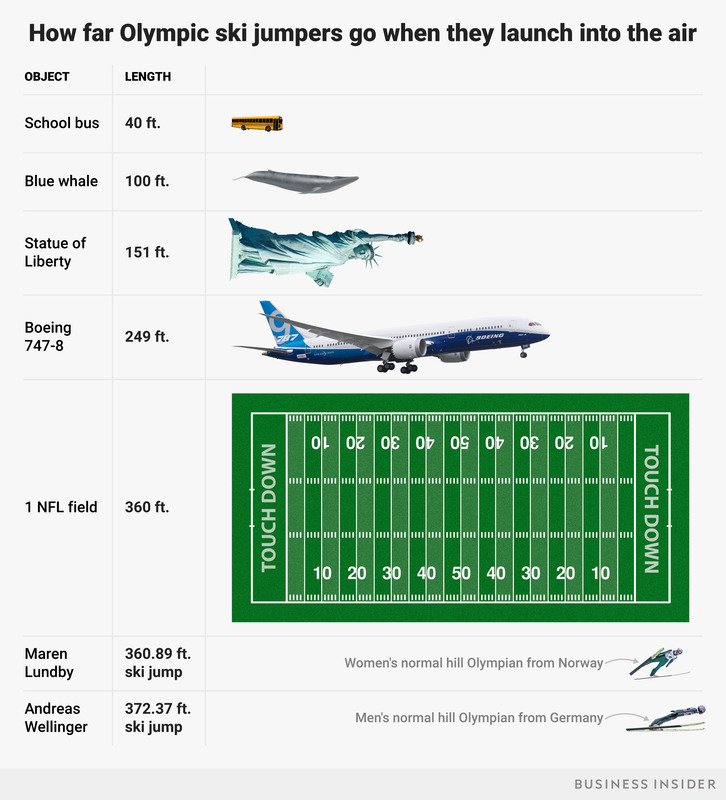 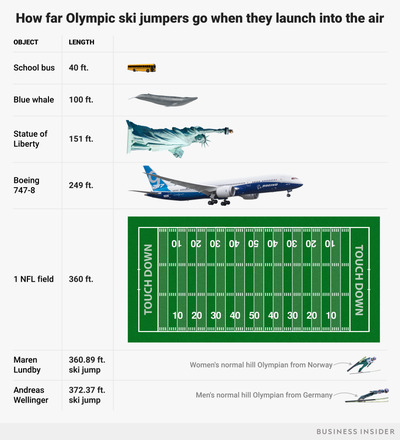 Here’s a look at how their jumps compared to other large objects.